How do I quickly pause, resume, edit or delete campaigns with Quick Actions? 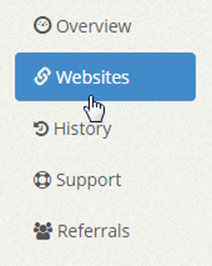 Click on the “Websites” tab on the left sidebar of the dashboard. 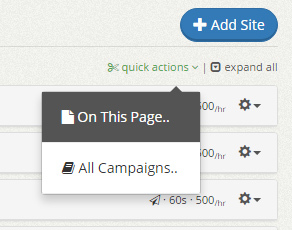 Hover over to the right of the page above your Website Campaigns where you will find a link for “expand all” and “quick actions”. Click on the “quick actions” link to reveal the drop down menu. Select “On This Page…” if you wish to pause, resume, edit or delete campaigns that are shown on this page. Select “All Campaigns…” if you wish to pause, resume, edit or delete all campaigns on your account. A prompt will show up that will allow you to select your action (Pause, Resume, Edit or Delete) for the campaigns you’ve chosen (On This Page or All Campaigns). After making your selection, you must click on confirm by clicking on “Yes, I would like to commit to these changes” before clicking the red “Commit” button. Check mark “Yes, I would like to commit to these changes” and click the red “Commit” button to proceed. How come I can’t resume an expired campaign? An expired campaign means that the website slot has expired due to a recent downgrade of your account or the expiration of a booster pack. You do not have enough website slots to resume the campaign. You will need to upgrade your plan or buy extra website slots again. How come I can’t resume a suspended campaign? A suspended campaign means that the website URL has violated our terms and can no longer be added to the system. The URL is permanently banned. You can submit a ticket to our system for a review. How come I can’t resume a campaign that reached its hits limit? If the hits limit of a campaign has been reached, it will remain paused until you increase the hits limit and resume the campaign again. The hits limit is used to prevent the URL from receiving more hits than you want it to receive. You can change the hits limit anytime you like. 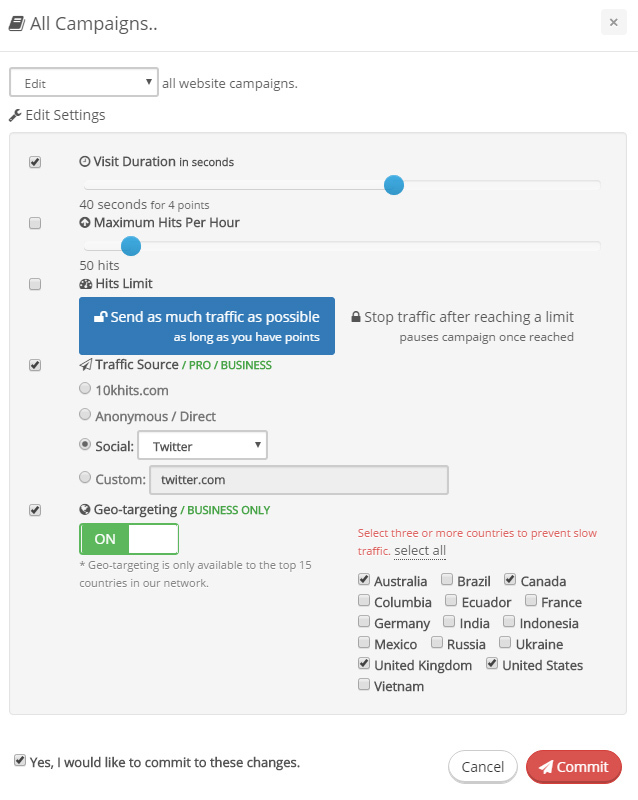 Go to the URL campaign settings and increase the number under “Stop traffic after reaching a limit” or you can select “Send as much traffic as possible”. How do I pause or resume a website campaign? 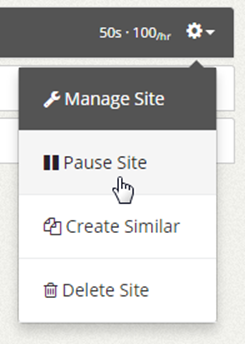 Hover over the website campaign you would like pause and click the gear icon. A drop down menu will appear with the option to pause the campaign. 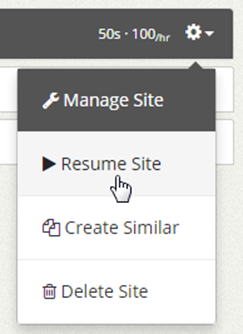 If your campaign is paused and you would like to resume it, open up the gear icon menu again and click Resume Campaign.